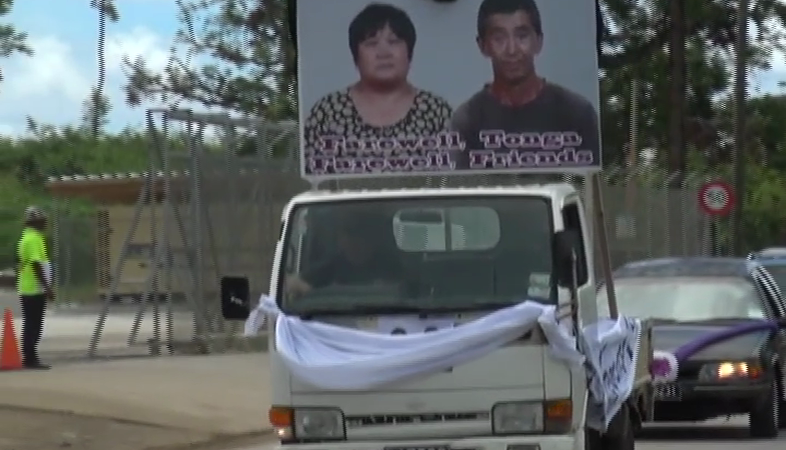 About 50 members of the Chinese community here in Tonga conducted a special farewell program this afternoon for the Chinese couple that were murdered at a tax allotment in Lekepa last month. The program includes one last round of trip to the places they spent most of their time while here in Nuku’alofa. It includes the Talamahu Market, where they used to sell their vegetables. Their bodies were repatriated to China this afternoon. The Chinese couple were found dead by their only son at their vegetable garden last month.